There’s one common theme for the Eagles offseason and that’s Howie Roseman and the front office are phenomenal. Reworking contracts and creating cap space isn’t easy unless you’re the Philadelphia Eagles. And, the Eagles and their front office have done it again. 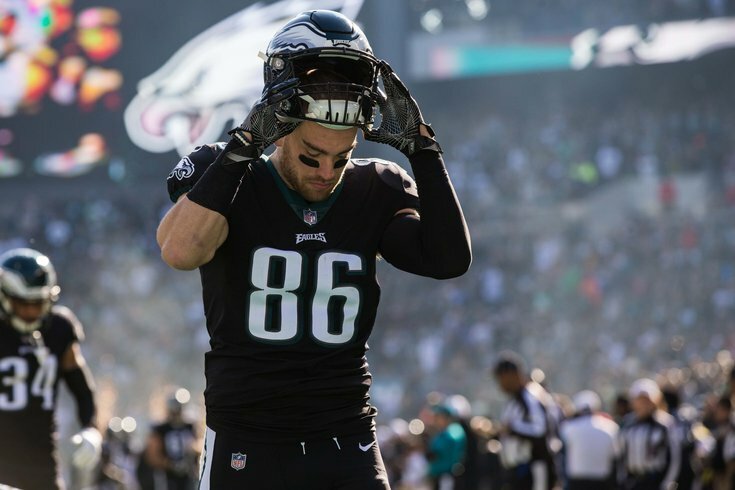 They have reworked tight end Zach Ertz’s contract, creating around $5.8 million in cap space. Adding this extra cap space gives the Eagles a lot of flexibility to continue to make moves if they deem them necessary. For this season, this move helps the Eagles out a lot. Now the Eagles sit around $27-28 million in cap space. This restructure gives the Eagles a lower cap number on him this season, but a higher one in the future. It’s all about flexibility for the team right now, meaning, could there be a few more moves still to come? Hang on to your seat because I’m not so sure the Eagles are done adding talent to this team.